When considering doors and windows, most of us limit the choice to wood and PVC. It is true that until recently, the offers of manufacturers was limited to these two materials. For several years, however, aluminium windows and doors has become more and more popular. It is an obvious response to the needs of architects and investors who appreciate state-of-the-art solutions. 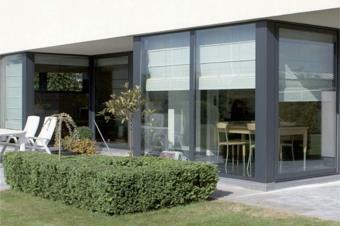 The attractiveness of aluminium windows and doors, however, is not only attributable to their look. Fortunately, daring and advanced architectural trends are increasingly popular also in stand-alone house construction. Investors now pay close attention not only to the functional side, but also the appearance of their houses. Aluminium systems are frequently used in large commercial projects, e.g. in office buildings, banks, hotels, shopping malls. They are most often used in combination with glass panes that make sunlight penetrate into the interior of the building. Aluminium joinery is ideal for this purpose, as this advanced and minimalist solution perfectly matches innovative architectural concepts. Aluminium is particularly compatible with materials such as sheet metal, composites, spot lighting, and concrete. During the boom for PVC windows in the 1990s, manufacturers and sellers emphasised their great durability compared to the wood joinery. Today we know that it is often not the case. Aluminium joinery has a significant advantage in this regard, as profiles made of metal do not deform. Windows and doors maintain their dimensions and tightness for many, many years. Aluminium is much better at transferring loads, which e.g. protects the frame from breaking. 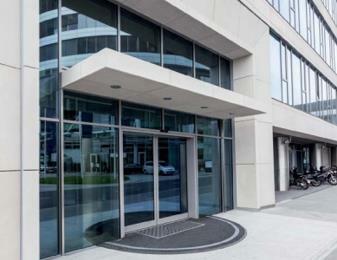 The strength of aluminium is attested by the fact that investors are able to easily purchase sliding doors, lifting and sliding doors, or the recently very fashionable bifolding systems with extremely wide leaves. On top of that, aluminium windows and doors are relatively light, which makes installation even faster and less cumbersome, and increasing the comfort of use. Cold frame? It is a myth! The most common argument against aluminium windows and doors is the claim that such windows or doors are “cold”, i.e. they do not provide adequate comfort in terms of temperature. This is just a myth. Even though aluminium is a metal, the insulation guarantees that there is no cold frame effect whatsoever. In fact, aluminium windows and doors are on par with PVC and wood in terms of thermal insulation – windows with Uf = 0.8 W/(m2*K) (STAR profile) are already available on the market. Aluminium windows and doors take advantage of the so-called thermal brakes of substantial width which, usually made of polyamide and glass fibre and additionally insulated with foamed polyethylene. This provides aluminium windows and doors with outstanding heat transfer coefficient, enabling it to be used even in passive houses. If you are looking for windows and doors that will last years, consider aluminium. Why? There are a few reasons. Let's start with a drawback of PVC and wood: loss of colour. After several years of exposure to sunlight, rain and other weather factors neither material looks as good as originally. Coloured aluminium, on the other hand, is completely resistant to these phenomena. Metal does not get covered with moss, mould or fungi. And speaking of colour, the choice is outstanding. Aluminium windows and doors products are available in virtually any RAL colour, making it easy to choose windows and doors that will perfectly match the building, design, or the preferences of the investor. Also take into account the ease of maintenance – aluminium windows and doors are maintained as easily as those made of PVC. Just wash the frame with water, and optionally with non-aggressive cleaning agent. The drawback of aluminium windows and doors is the difficulty of its repair. A damaged window or door usually needs to be replaced. The same, however, applies also to PVC, so this disadvantage should not be a decisive argument for or against aluminium. Windows and external doors are bought (or at least should be bought) for many years. Given the durability of aluminium, it is a smart investment that will be appreciated in particular after many years of hassle-free use.